Wait, I Have Never Heard About String Trimmers… Care to Elaborate More? A String Trimmer Is Not a Lawn Mower! Which String Trimmer Is Best For Me? Which Type of String Trimmer Is Worth Buying? Although string trimmers date all the way back to the 1970s, we see a lot of people who are kind of “new” to the idea of using one - - At least I wasn’t into them until the last few years because somehow, lawn mowers are common adaptations of the modern world household trimmers. We see an outgrown lawn, we automatically think about a lawn mower; it’s as simple as that. Well, guess what - - times have changed and string trimmers have already become more common, albeit cheaper, versions of grass whippers around the house these days. 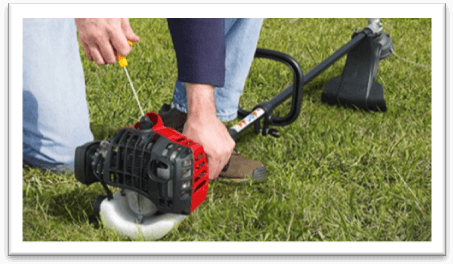 These handy products are not only super lightweight, but their capacity to “weed” through an entire lawn in a minimal time frame is what takes things to the next level. String trimmers are also called weed eaters. In case you are told a different name that doesn’t sound similar, there’s nothing to panic over. Aussies call it “weed whacker” and/or “weed whipper”; it is basically the same thing. Given that you have never seen a weed eater in your life, it is a very simple tool. There is a handle at the top end and a cutting shaft at the bottom end. The way it works is that instead of using a blade, a string trimmer uses a high resistance plastic “string” that rotates on its own axis at a very high speed. This phenomenon helps level down grass heads, shrubbery and weed to any desired length. A common misconception about string trimmers is that they are only used for whacking weed. I mean, you sure as hell can use the unit for that purpose, but you can also use it to cut grass. I have seen hundreds of people who use a weed eater machine as a handheld lawn mower – it’s how they get things done efficiently. At the same time, I am confident that weed eater manufacturers were not thinking anywhere near regular grass beds when the product was developed for the first time. Back in the 70’s, the guy, who first came up with the idea of a string trimmer, actually did it because he wanted to clear his backyard of all the excess plant growth. As much as I like to cast the vote in favor of buying a cheap string trimmer to serve the purpose of a lawn mower, I will not do that. String trimmers are a handy product and they are only good for as long as the work is in small dosages. If you have too big of a lawn, front yard or a vegetable patch, you need a lawn mower to get the majority of the work done. A weed eater is actually only meant for “trimming” excess amount of shrubs and for giving that last minute neat look to the entire landscape. Period. Of course, you can use the string trimmer as a lawn mower regardless of any precautions, but know this that the unit’s motor can really get hot if used for a long time. Burn damage also voids the warranty, so your chances of getting a replacement unit are out of the window. Over the last week or so, ‘Power Tool Buzz’ reviewers and yours truly, went through a dozen string trimmers to determine which one’s were the best. We narrowed down the list to top 5 best weed eaters of all time. For now, we’re going to talk about how to buy one such product without over spending or getting a unit that doesn’t work as advertised. You’d also want a low maintenance product which ideally suits the needs of your lawn and your wallet simultaneously. The one common mistake which first timers make when buying a weed eater is that they don’t assess their lawn, backyard or general area dimensions. Therefore, let’s say you have a big lawn but you bought a cordless string trimmer to deal with all the extra shrubs, you won't make it far. The fact that wireless AKA cordless string trimmers practically rely on batteries for performance – and that the market is already brimming with cushier alternatives, makes the effort futile. If you did make that mistake, contact your seller and ask for a trade-in option with an upgraded string trimmer model. They will charge you a price difference but it’ll be worth it. You should know that you need a string trimmer as much as you think a lawn mower is important. The duo goes hand in hand – and in the string trimmer’s case, I’d say that you got to have one available at any time because as a lawn mower cannot reach across weeds, thorns, ivy, brambles and etc. To eradicate those small imperfections, a weed eater is always going to be a gardener’s go-to choice. Ideally, you will want a string trimmer that suits the layout of your lawn or whichever place you’re going to use the product. 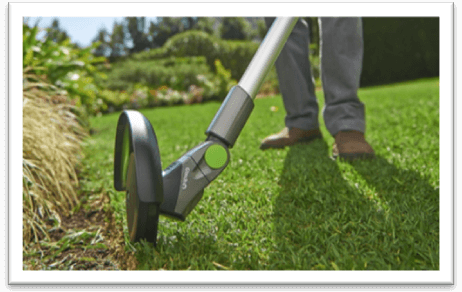 You can measure the length and breadth and take that to a retailer to see which string trimmer he recommends. However, the general rule of thumb is to already have a hunch about whether buying a wireless battery operated string trimmer is a good choice, or a gasoline-powered unit is more suitable. By the way, I keep talking about cordless string trimmers, but they are not available in abundance in the market. A very few of the models are in prototype form and many sellers don’t sell those. The reason for not entirely making it a cordless unit is because of the involvement of an engine component. Engines draw a lot of power – if your unit is electric, you will want a plug for constant and steady supply of electricity. Anyhow, the most common forms of string trimmers are plug in power string trimmers, and gas powered weed eaters. Battery operated units are available too, but as I mentioned earlier, they are usually not that reliable to begin with. 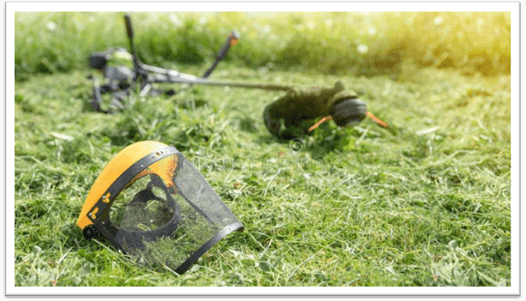 String trimmers are and can be extremely dangerous as far as safety is concerned. The two most important safety components that you should never compromise on are visor and eye glasses. The visor is installed at the lower bottom side of the string trimmer, right behind the rotating string unit. This way, the visor protects your feet, ankles and upper legs from getting any hits. The eyewear gear is also important because you don’t want any grass shavings or debris to cause any injuries. Of the two components, there is also another thing that needs to be mentioned. Never ever use a string trimmer while other people are around – as in walking in close proximity, jogging or just passing by. In many scenarios, I have seen people getting hit by pebbles that fly off as a result of the impact force that the string trimmer’s string hits it with. These small rocks hit like bullets because I have been on the receiving end as well. The whole thing can hit you anywhere around your lower abdomen, calves, pelvis area and vice versa. I saw a toddler who was hit in the face with a pebble that a string trimmer sent on its way. The safety visor is only good as long as user protection is concerned. Besides, it’s only a semi circular plastic covering which serves no real purpose as far as pedestrians, walkers and other users’ safety is considered important. Regardless of the type of the best string trimmer you are looking to buy, here are some common perks which are super important. Unit/ Product Weight: Since string trimmers are meant for one-handed operation, you should go for a unit with a lightweight profile. Ideally, the weight should be somewhere in between easy maneuverability, sturdy quality and low fatigue rate. Some heavier models are available with shoulder straps, but that’s not a good idea. I’d generally go for a product that is easy to carry around for couple of hours on end. Integrated Safety Options: On board safety features, such as the visor that I mentioned earlier, and eyewear glasses are very important. Many modern string trimmer models have a low clearance protection guard mostly around the string, while leaving a small opening area from where the string can make contact with grass. This way any debris chunks, pebbles and rocks hit the protective guard instead of flying off in different directions. Also, make sure that you are wearing closed or knee high shoes and thick pants to avoid any possible injuries to your lower body areas. 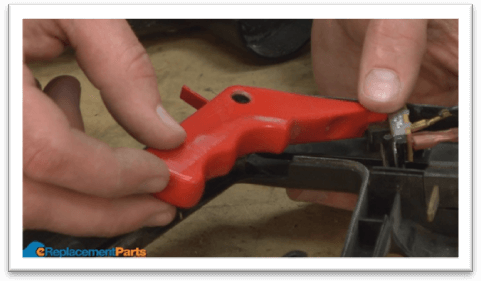 Trigger/ Safety Lock: A trigger lock has become a common safety related “commodity” installed on many power tools these days. We talked about table saws, miter saws, chainsaws and so many other tools where a trigger lock just prevents the unit from accidentally running when in idle state. Likewise, a trigger lock on a weed eater is basically just a safety switch that’s installed on the handle bar. You flip it and the string won’t rotate. Noise Levels: Generally, string trimmers are quiet and don’t induce too much stress on users’ ears. If you are using an electric string trimmer, you will hear a solid “Buzzzzzz” sound as soon as the string makes contact with the grass. Otherwise, it will be more of a whirring sound when the string is rotating freely. This much noise is bearable I think. If you are using a gas powered string trimmer, you should take engine noise into account as well. Make sure that the noise rating is mentioned on the box packaging by the manufacturer of the brand that you’re considering going for. Trimming Capacity: Depending on the type of weed, aim for a string trimmer with powerful trimming capacity. If the weed is light and not too tough, perhaps a string trimmer within a $90 - $100 range will be more than enough. Grass leaves are soft, therefore, they don’t require that much cutting force. A normal weed eater string line is .08 Inch thick. Anything thicker and you are looking to cut through tough vegetation and unruly growth. 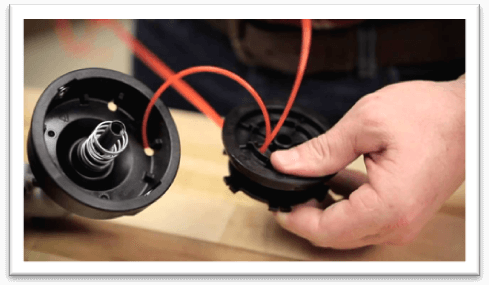 Manufacturers recommend using a specific thickness string because it is regulated to not cause any physical damage to the main components of the unit. Ergonomics Vs. Finishing Quality: A typical string trimmer comes with a straight long rod, but a better option is to buy such product that comes with an angled curve. Basically, the curve arm allows users to trim with a crisp edge. The angle also gives good visibility to users who’d be hunched over the top handle otherwise. In any case, ergonomics are the top priority here. Since string trimmers vibrate a lot, makers install anti vibration grip pads to reduce numbness effect on the hands. The anti vibration technology also increases comfort levels so that users don’t feel any lingering pain in their wrists etc. Pro Tip: I have heard a lot of seasoned weed eater users complain about back aches. This normally happens when the handle/ rod length is short. In case this is your first time buying a weed eater and you happen to be a tall dude at the same time, go for units with moveable loop handles and adjustable height lock. Warranty Period: In my experience as a reviewer at ‘Power Tool Buzz’, a longer warranty of any power tool is not a guarantee of a better product. In some context it is, but the real thing is the build quality and customer service. God forbid, if you have to run into a support channel staff for a string trimmer repair, or a replacement claim, those guys can take ages to process everything. Make sure that the company you are considering buying your weed eater from has enough online user reviews, and background credentials to help prevent any warranty and repair related fiascos later. Same as the above passages, where I talked a bit about string trimmer types, it all comes down to the overall area of your property. Large properties require extended use of a weed trimmer without any pauses. If that’s the case, a gas powered unit with thick string diameter is a perfect addition for that lawn. Likewise, if you are a small homeowner with an average sized patio, front yard and a back yard, any string trimmer under $200 range would be more than enough to whack the thick underbrush in no time. If you are planning on using a gas string trimmer, take the fuel expenses into account. Speaking of fuel, don’t leave it stored in the string trimmer tank for too long. If it gets old, the carburetor and fuel lines can jam easily. As a result, your string trimmer will either not start or it’ll take a long time for the engine to turn over. Last but not the least, corded string trimmers are the best and least expensive option available at the moment. Of course, these little puppers have their limitations, but they are basically the quieter version of a semi automatic, or a gas powered string trimmer on the block. The cord needs to remain connected via a power source, and there is always the cord length limitation. However, you can increase the length by going for an extension cord. The only real thing to be concerned about is not tripping over the cord, or cutting it accidentally by running a string trimmer over it. That’s going to cause an intermittent delay in your landscaping and garden grooming chores. First timers are often lured into nice fancy deals on power tools at local retail marts. It is strongly suggested that you keep control of your impulses and do some background research on the product before choking up your cash. 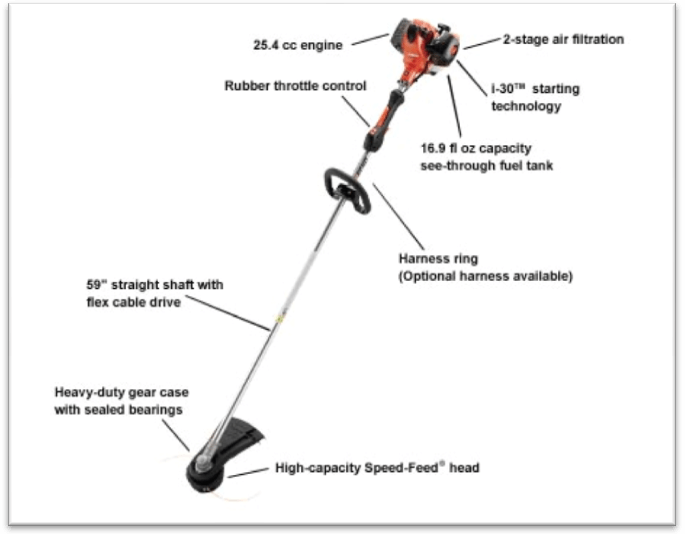 Buying a string trimmer online is slightly safe because you are able to dig up previous customer reviews, forum posts and anything with even the teeniest weeniest mentioning of the make n’ model of the string trimmer in question. If you are still not feeling confident, feel free to write to us via our support email at Power Tool Buzz, or share your thoughts on our string trimmer buying guide in the comments section below. We will be more than happy to assist you with any query concerning any issues with your string trimmer, or other line of power tools in your possession. As always, good luck and have fun finding your first ever string trimmer.